Content is key to accurately communicate, attract and engage with your target audience. In-fact its the most important piece in the marketing puzzle. 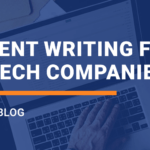 At Blufig, we provide end-to-end content writing services ranging from website content, blog, social media, marketing collateral, and more. Create meaningful relationships with your customers, followers and fans by serving them fresh, original content every time they engage with your brand. Looking for Exceptional Content Writers?